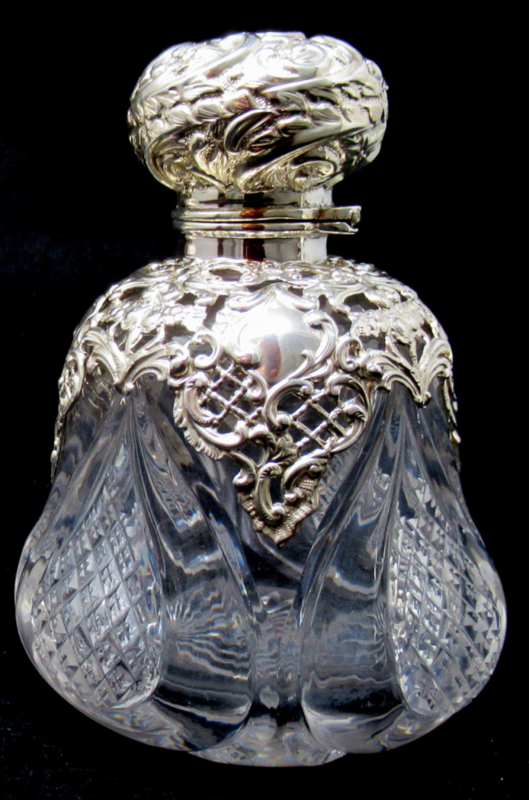 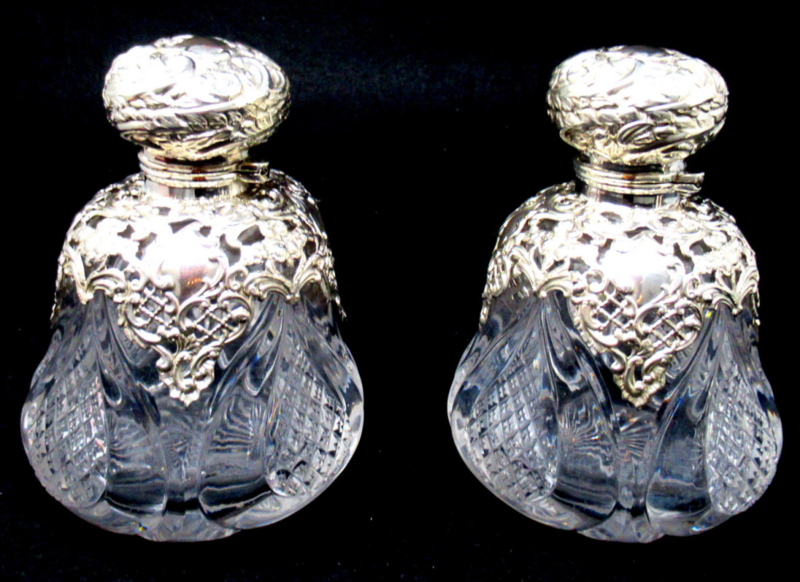 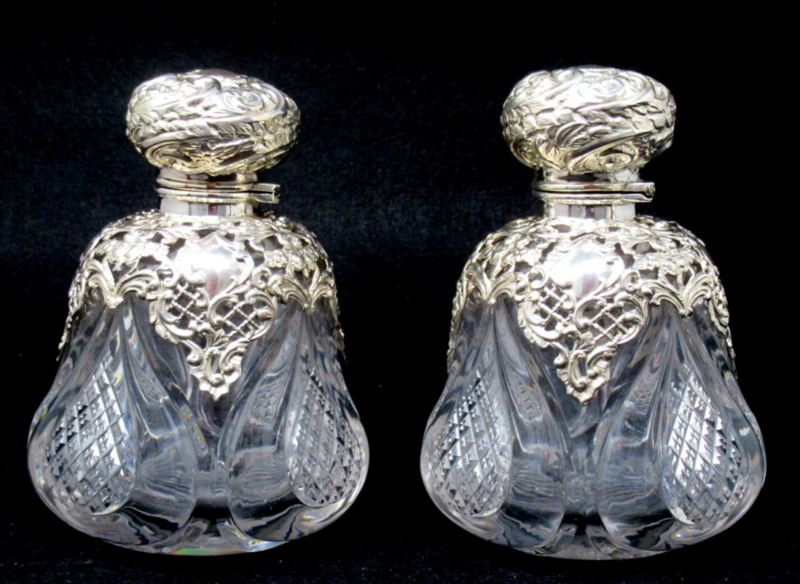 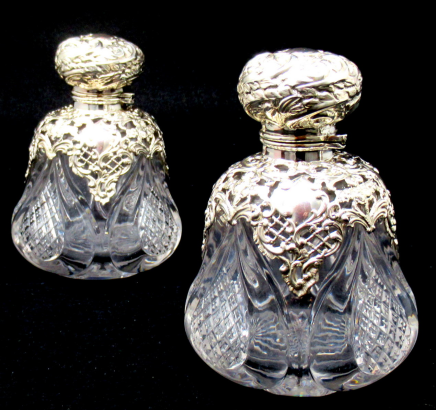 An Exceptionally Fine Quality Pair of English Hand Cut Full Lead Crystal Heavy Duty Perfume Bottles of bell shape form with attractive panels of Pineapple Cut pattern. 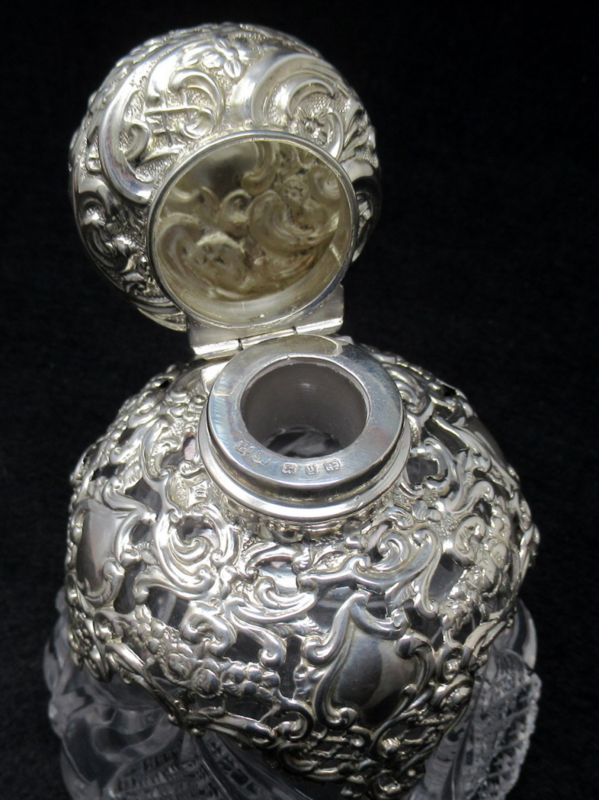 The Sterling Silver mounts of ornate pierced scroll work with a circular lid with a stand away hinge. 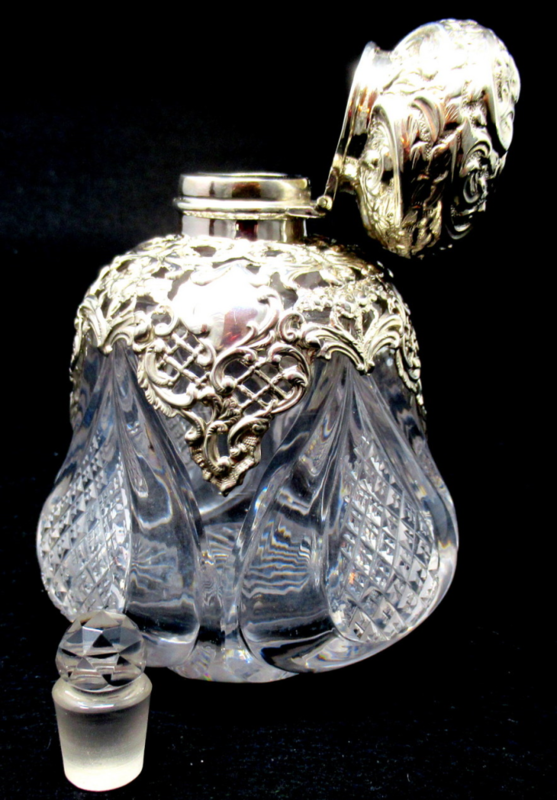 Condition: Perfect condition with no losses or clouding inside, wonderful evidence of age-wear on bases underneath. 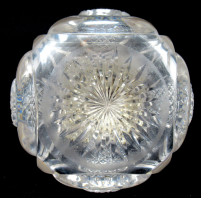 Nice star cut pattern to bases, both stoppers are present. 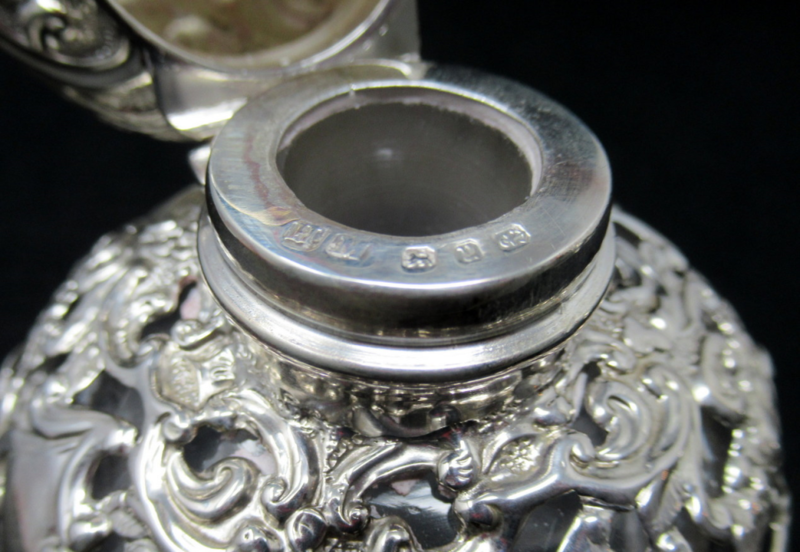 Mark of Henry Matthews, Victoria Street, Birmingham. 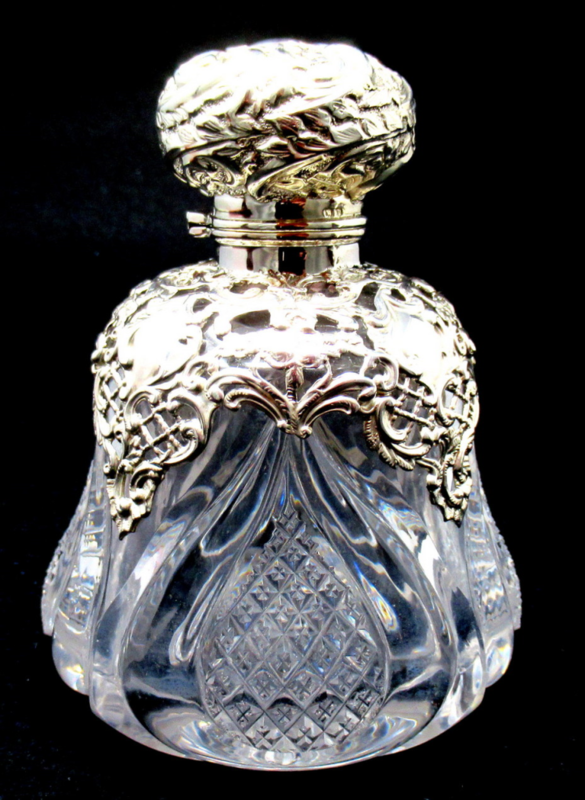 Height: 5.25” (13.5cm). 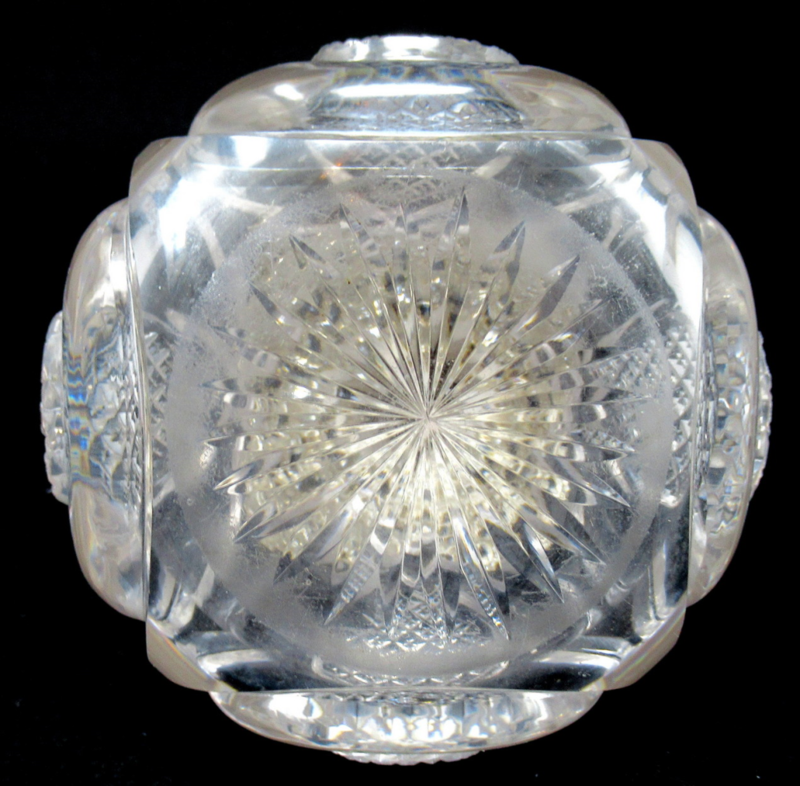 Diameter: 4” (10cm).